I know I know…this was the title of yesterday’s post too. However, I talked about the profound Pain/Pleasure dynamic as it applies to Nutrition yesterday, and today I want to talk about how it applies to exercise. Now, the first I ever heard of this in this way, was in the book “Awaken the Giant Within,” by Tony Robbins, who is a brilliant man. He helped me put into words, something I have been describing to clients for a long time. That’s why I am sharing this with you…because it’s awesome! So, if you haven’t already, please read yesterday’s post. As I explained in it, everything we do is based on pain or pleasure and how we associate things with both. For example, I know some people who HATE to exercise. They associate more pain with working out, than they do with feeling overweight and unhealthy. What they are typically doing is choosing what actions they take based on short-term pleasure rather than long-term pleasure. It may feel better in the moment for them to sit on their couch eating chips rather than go to the gym, but in a month when they have a reunion or a wedding to attend, they will suffer a lot of pain when they feel bad about themselves. So, ultimately, it comes down to what causes you more pain in the long run, unless you are fulfilled by the quick fix. I find most of us are never fulfilled by the quick fix. It just leaves us more and more empty and farther from what we truly desire. So, WHAT DO YOU WANT? Do you want short-term pleasure or long-term pleasure??? Personally I want long-term pleasure because I am seeking long-term happiness, not a quick fix. So next time you are on the fence about working out, ask yourself these questions. “In the short-term, will it cause me more pain to work out or to sit here and watch TV?” “In the long-term what will be more painful, to be fit, feeling great, and ready to show up for anything, or to be overweight, unhealthy and feeling embarrassed about my body?” “Which do I prefer, short-term pleasure or long-term pleasure?” Once you have answered these questions HONESTLY to yourself, you will know what to do. So any questions for me? Please leave them here. Here’s To your Health!!! Everything we do, all the choices that we make, are all based on whether or not something causes us pain or pleasure. Tony Robbins talks a lot about this in his book, “Awaken the Giant Within.” For example, those who procrastinate put things off because the doing of them registers as more painful than the not doing of them. It is only when putting things off becomes more painful than taking action, that a procrastinator finally decides to take care of business. This is the same for everyone and everything. When it comes to diet, some people associate pushing desert away with pain, while others feel complete pleasure by saying no to dessert. The person who gets more pleasure out of eating the cookie, is choosing short term pleasure, and will most likely suffer later when they are over weight and frustrated with their health, where the one who resists dessert is choosing long term pleasure, even though they must pass on the delicious cookie in the moment. This is not to say that eating a cookie is always long-term pain, but if you are wanting to lose body fat, most likely it is not the best choice, unless it’s your cheat for the week. What I am saying is that all it takes is a simple shift in our thinking about what causes us pain or pleasure. Being aware of this can act as a guide to making healthier, wiser decisions. If I want to maintain a lean, healthy body, then I understand there are certain things I just shouldn’t eat most of the time or ever. Therefore, if I find myself reaching for a brownie or a piece of pizza, I ask myself, “Will this cause me long-term pleasure or long-term pain?” My goal is to always choose long-term pleasure over short-term pleasure the majority of the time because I prefer long-term happiness. Ultimately, for me, no food tastes as good as thin feels. Even if something tastes amazing in the moment, after it’s gone, or when I wake up the next morning, I will not feel as good if I ate junk than I will if I ate clean. I know this as a fact now, so I have been able to link bad eating habits with pain instead of pleasure. This is a very helpful tool I suggest trying. First of all, set your goals and your intentions for what you want to achieve. Then, based on those goals and intentions ask yourself before each decision you make if what you are about to do is going to cause you long-term pleasure or long-term pain and you’ll then know what to do. Usually if it leads to short-term pleasure or instant gratification, that typically means you will pay for it later!!! Keep me posted on how this works for you in your life! Please post all questions and comments here for me on the blog. Here’s To Your Health!!! See this video below to help make new pain/pleasure associations. It’s gross though, so beware! As the seasons change, be aware of how you feel and change with them. We too, change with the seasons. Hey everyone. How are you doing this week? I know I’ve been hearing a lot of people say they are a little low energy or feeling a bit off emotionally. I am experiencing something similar, but I do believe it’s all a part of the Summer ending and the Fall beginning. As the seasons change, so do we, and I think many of us are feeling the shift internally. Instead of sitting around moping, I think it’s a good time to get even more active. Throw yourself into your workout routine and really push the envelope. For example, I have been really craving the gym lately, even more than usual, so I am going to capitalize on that. I am also eating quite a bit more, so I have some extra calories I need to burn, LOL. They have actually turned out to be a great source of fuel for my workouts. However, today it hit me. I’ve been doing the same amount of sets of my full body circuit, for about 4 months now. Even when I make the exercises harder, it only challenges me a little bit more. So in order for me to really crank it up, and make the most of where I am internally, I am going to add an extra set or two of my full body circuit. So on the days I do 2 sets, I’ll do 3 and on the days I do 3 sets, I’ll do 4!!! Yep, this should be interesting to see what happens. My body, mind and spirit seem to be really craving more of everything, so I am just going to trust that and go with it. Where are you internally? Do you feel the shift of the seasons inside of you? Are you feeling a bit like you need to shift things in your life as a result? If so, let me know! I’d love to help you figure out a good way to compliment your life with a few good fitness tips. Please leave your questions and comments here for me on the blog! Here’s To Your Health!!! 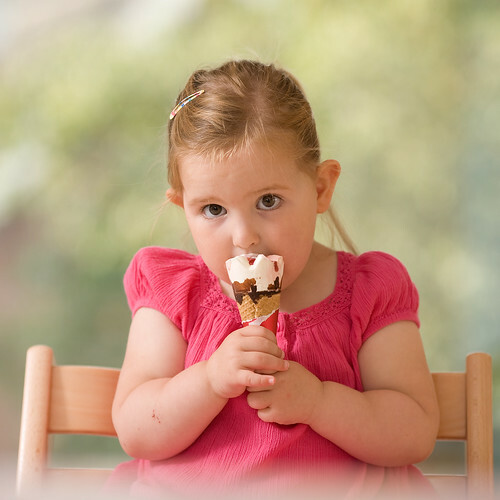 When we are kids we learn to eat for comfort, celebration, happiness, as a reward, or something to sooth our pain. Do you struggle with cravings? Do you ever find yourself over eating? Or maybe you stick to a certain diet for a good while, but then find it impossible to keep going and remain fulfilled longer than 3 or 4 months. Well, there is a reason for these things. I wanted to bring this to your attention because I am hoping to bring you some awareness about why you do what you do. You see, if you are suffering from major cravings you cannot seem to curb, or over eating, or get burnt out nutritionally from any one specific diet you’re on too long, then you are most likely entering a transformative place in your life. There are our primary foods, and our secondary foods. Primary food includes, career, relationships, spirituality, and exercise. Secondary food is actual food. However, if we are not fed first and foremost by our primary food, we may feel hungry for something all the time, until such time we get that void filled. A lot of people confuse the hunger for a primary food or foods for being a craving for a secondary food. This is a big problem, because secondary food cannot and will not EVER fill the needs we have for primary food. Therefore I encourage you to start asking yourself questions. When you feel hungry, try drinking some water. If you are craving sugar, try eating a piece of fruit. If these things don’t help, most likely you are emotionally hungry and should really begin the search for what primary food your soul is craving. Otherwise you may over eat or jump from diet to diet. Also, when you feel like eating something unhealthy, pause first. Maybe go and meditate for 5 minutes, and then re-assess. It’s important to differentiate where your hunger is coming from so you can be aware of it and know a better approach to satisfying what’s really going on in your body. Please let me know if this resonates with you. This is really just a glimpse into cravings and hunger and why our minds get to thinking we are hungry for the wrong things. I welcome any questions or comments you have for me here on the blog. Here’s To Your Health!!! I want to talk more about this topic with you next week. I am addressing the importance of making certain things the priority and letting go of other things that may not be as important in the NOW. It is not healthy, nor does it make us happy, when we are stressed out about all the things we cannot get done because something major requires our attention. Sometimes that major things is ALL that matters. I will be discussing how to know what is the priority for you, and how to let go of the rest so you can enjoy the journey, but for now…I gotta get back to something major:) I’ll be back on this topic next week! Please leave all your questions and comments for me here on the blog! Here’s To Your Mental, Physical, and Spiritual Health!!! Myofascial means “fascia related to the muscles.” I have chosen this subject to write about because I am passionate about people knowing what it is and how to therapy and care for their own bodies. I am a big believer in preventative health care, and myofascial release can be helpful and sometimes necessary for those who are completely inactive, all the way to the super athlete. First, you must know what fascia is. It is a strong connective tissue that surrounds the muscles, bones, and joints and provides support and protection to the body. It runs over and throughout the entire body from head to toe and has three layers, the superficial fascia, underneath the skin, the deep fascia, which covers the muscles and helps keep them divided and protected, and lastly the subserous fascia, which runs deep inside the body. Many people suffer from aches and pains and injuries, that are a result of trigger points. Trigger points can be defined as “areas of muscle that are painful to palpitation and are characterized by the presence of taut bands. Tissue can become thick, tough and knotted. They can occur in muscle, the muscle-tendon junctions, bursa, or fat pad. Sometimes, trigger points can be accompanied by inflammation and if they remain long enough, what was once healthy fascia is replaced with inelastic scar tissue.” Typically this is the result of repetitive movement, bad posture, body imbalances, trauma to the body, etc. If one does not care for their fascia by releasing it with trigger point therapy or myofascial release, they may suffer from a weakening, easily injured, and full of pain body. Self-myofascial release is a great and pretty easy way to alleviate pain by releasing trigger points. There are the basic pieces that one needs to do this, such as a foam roller or pipe roller, a piriformis release ball, a psoas release ball, and a tennis ball for in between the shoulder blades and to release the traps (at the top of shoulders and at the bottom of the neck). You can buy the foam rollers at Perform Better.com by clicking here. For more information on what to buy, where to buy it, and how to use it…please feel free to leave all questions and comments here for me on the blog! I am happy to help you. Also, if you are in the Los Angeles area, I teach a myofascial release class that is awesome, so check it out here! Here’s to Your Health. This is a video I’ve used before in a previous post about “rolling out.” I’ve posted it again for those of you who heaven’t seen it yet, in order to teach you all how to do this. Yep, that’s correct…I LOVE FOOD! I use to think this was a bad thing, but I have learned that there is a reason for that:) Last week I enrolled in Nutrition School at New York’s Institute for Integrative Nutrition. This school is absolutely amazing, and will teach me all about food and how we can use food to improve the quality of our lives. You see, ever since I was a child, I have always loved food. It makes me happy. I like eating it, being around it, and cooking it for myself and others. I LOVE to feed people! I am absolutely fascinated by food, especially the more I learn about it, how it affects us, and how we can literally heal ourselves if we eat it correctly. I don’t know about you, but I like to feel good, and if I can find a way to eat healthy and feel good, and have all my cravings satisfied, then I just may believe I’ve died and gone to heaven LOL! Well, that’s precisely what I intend to do, even more so than I already have. This is why I’ve decided to further my education and knowledge by enrolling in such an innovative school. It not only focuses on food, but also, how to feed our bodies with things like spirituality, relationships, work, and exercise. If we are not fed in all of these areas, than we will always feel hungry and may mistake that for needing to eat food when we don’t, hence the growing rate of obesity. I love food, and I love to feel good and help others feel good. I look forward to sharing with you everything that I will learn on my journey. I assure you there will be lots of good information for you to take with you in your tool box for life. I wish you well. Please leave all your questions or comments here for me on the blog. Here’s To Your Health!! !